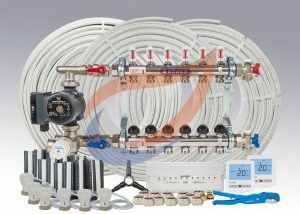 Underfloor Heating Systems Limited was established in 2002 and now has more than a decade of experience in designing, supplying and installing wet underfloor heating systems. We are the preferred suppliers for a large number of plumbers and builders, while self-builders often find us through recommendations. Have a look at our case studies. You can now shop our products online here. For larger or bespoke tailor made systems please forward us your floor plans for your free quote. If you choose to self-install our underfloor heating systems, all the technical information you will need can be found on this website – simply visit our technical information page. Alternatively, we can carry out the installation for you – get in touch for your free quote. 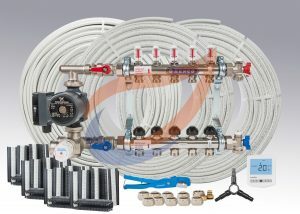 Many of our customers buy our Nordic Pro kits to install themselves as DIY underfloor heating. On a supply only basis, which is great. We offer expert support on self-installations, with our friendly approach and advice. We offer as much technical information as possible, including a design service. Please see our underfloor heating installation video and visit our technical downloads to learn more. Many prefer the supply and fit option, where we’ll gladly assist by providing a superb installation service of your underfloor heating system. We are in an excellent position where we really can boast about having highly skilled and reliable underfloor heating installers. Our decades of experience speaks for itself, with many of our expert sales team assisting in installations and design. Download our latest Technical Documents in PDF format. Read all of our commonly asked questions along with our answers. Find out how to commission our Underfloor Heating Systems with our guide. Wet(warm water) underfloor heating circulates water through a succession of continuously looped pipes beneath the floor. The result of this is that a large radiant surface is created; the entire floor area effectively becoming the heat source, warming your home from the floor upwards. Underfloor Heating requires only low temperature warm water and is ideal for use with modern condensing boilers and heat pumps. Comfort levels are high while running costs are low. Underfloor Heating Systems can save you between 15-30% on your heating bill by utilising efficient and compatible renewable energy sources, allowing warmth where you want it. Have the freedom to design your rooms and spaces without radiators. Removing the bulky radiators also eliminates dust mites and hard to reach space behind the radiator, another benefit of underfloor heating! 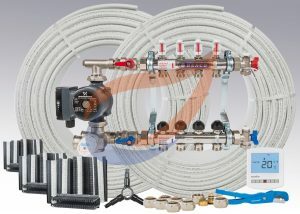 The UK underfloor heating market accounts for around 5% of the total UK heating market, with an estimated value of over £80 million, excluding system installation costs. This is set to rise over £100 million by 2018, encouraged by the government energy efficiency targets. 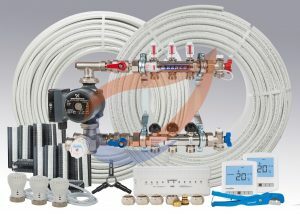 We spent a lot of time researching different systems and suppliers and eventually chose Underfloor Heating Systems Ltd, as it seemed to be the preferred choice of professional installers and have a reputation for reliability, value and ease of use. Anders Berg answered all our questions and supported us brilliantly throughout the process and installation. The system has been faultless and we have been delighted. We have used Underfloor Heating Systems Ltd on various projects from single extensions up to new build properties. Excellent service and quality goods with quick turnaround on prices and deliveries. Thanks again. You have reinforced my belief that I picked the right supplier for our project. I would be happy for you to use my comments / feedback , it is refreshing to deal with a company that cares beyond the the initial order.